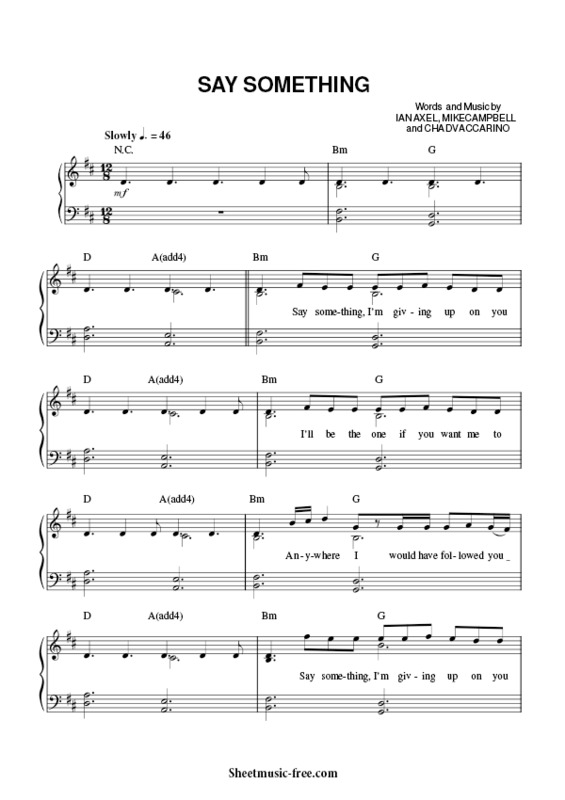 “Say Something Piano Sheet Music” by A Great Big World, “Say Something Piano Sheet Music” is a song by American indie pop duo A Great Big World from their debut album, Is There Anybody Out There? (2013). Written by the duo members—Ian Axel and Chad King—alongside Mike Campbell, the song was originally recorded by Axel for his solo album This Is the New Year (2011). It was later released as a single by the duo on September 3, 2013, by Epic Records. Following its usage on American reality TV show So You Think You Can Dance, the track gained attention from singer Christina Aguilera, who wanted to collaborate with A Great Big World on the song. Quickly afterwards, a re-recorded version of “Say Something” with Aguilera was released on November 4, 2013. Say Something Piano Sheet Music.